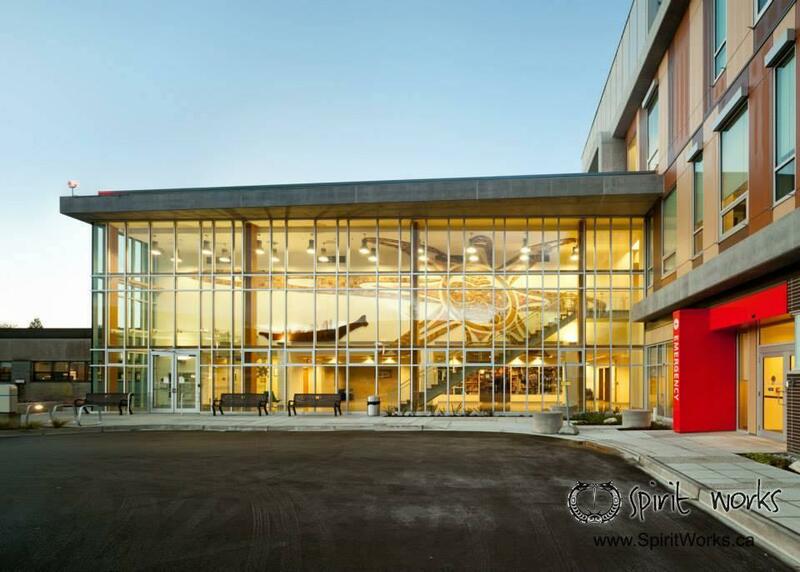 Spirit Works’ “Pulling Together” piece won a major international design award at the Academy for Design and Health’s World Congress, and made the cover of World Health Design magazine! 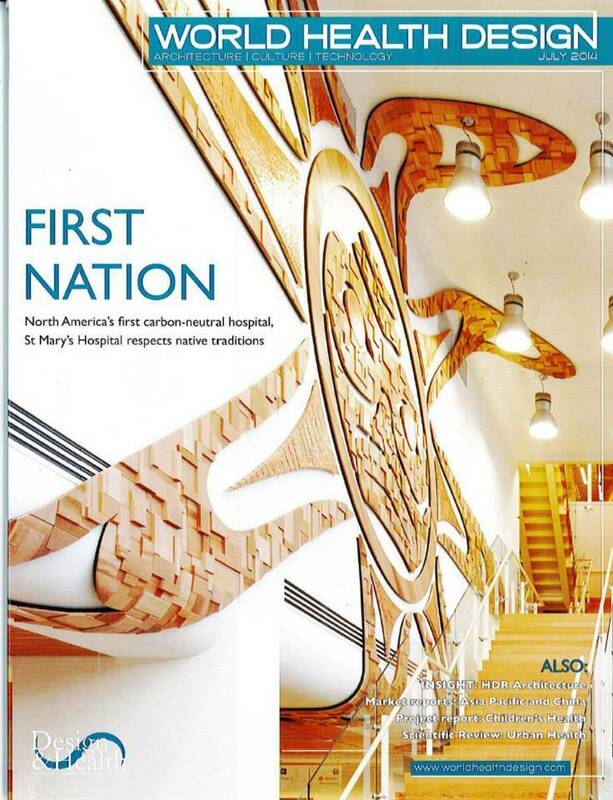 Spirit Works’ “Pulling Together” piece won a major international design award at the Academy for Design and Health’s World Congress, and made the cover of World Health Design magazine! This piece was produced in collaboration with Sechelt Nation elders, youth, and cultural keepers. As part of a program we developed to support young artists we took 4 Indigenous youth straight through the entire process this included design, drafting and submitting a proposal meeting and corresponding with contractors, architects and managers and installation of the piece. 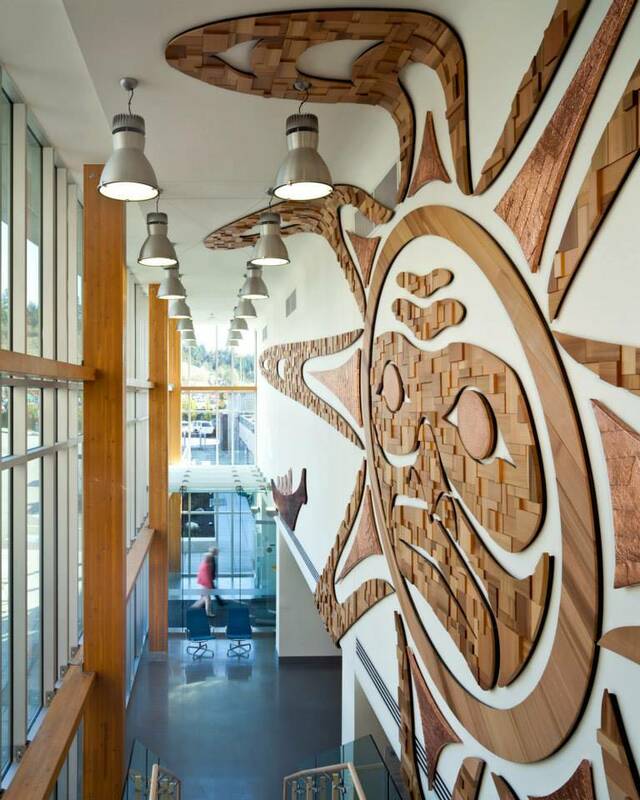 In the end it embodied everything is was meant to represent around the ideals of cooperation, and building unity within the Sechelt Indigenous community and also between the indigenous and non-indigenous folks on the Sunshine Coast.